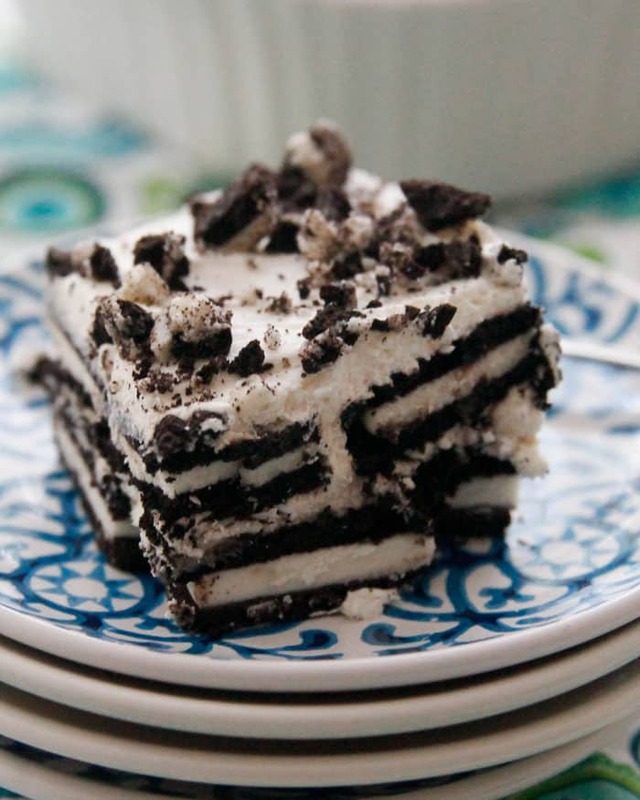 Oreo Icebox Cake - Chocolate Chocolate and More! 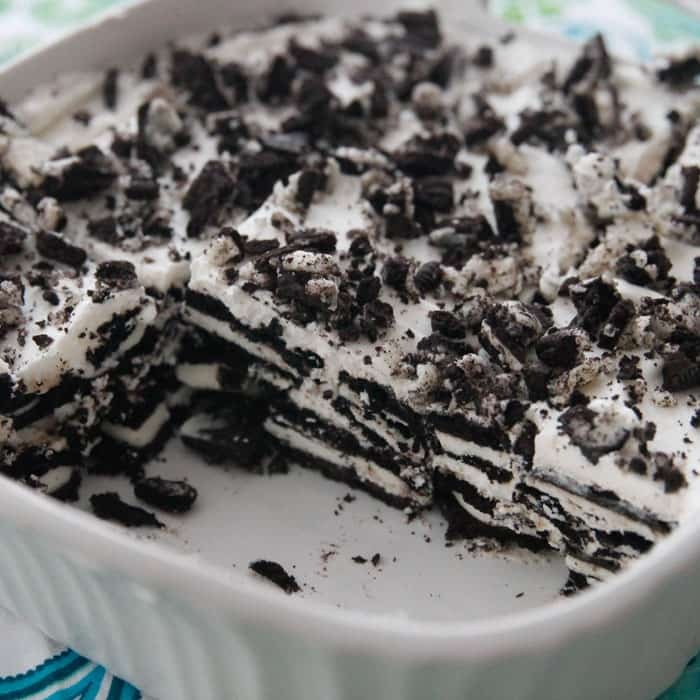 Oreo Icebox Cake-just 3 ingredients and a little time chilling is all that’s needed to make this no-bake cool treat! 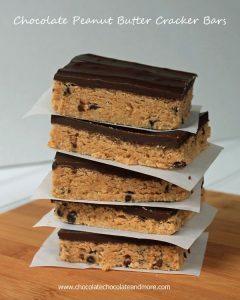 Icebox cakes are one of my favorite treats to make with the kids. So simple to make, they can make it themselves. 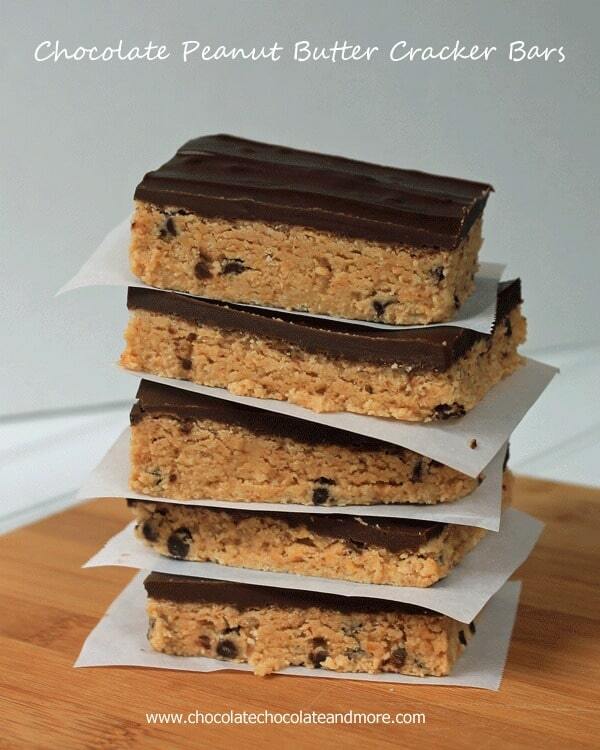 You can use any cookie in an icebox cake. 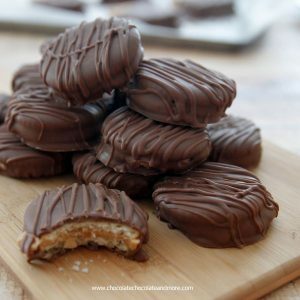 Chocolate Chip cookies, Nutter Butters, Chocolate wafers, Graham Crackers. Just choose your flavor. 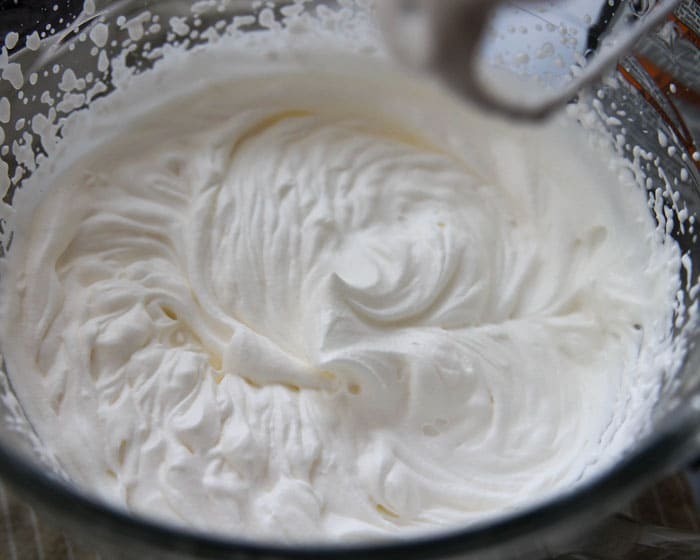 Whip the heavy whipping cream just until stiff peaks form. Add just enough sugar to sweeten it. Oreos, whipped cream, oreos, whipped cream. 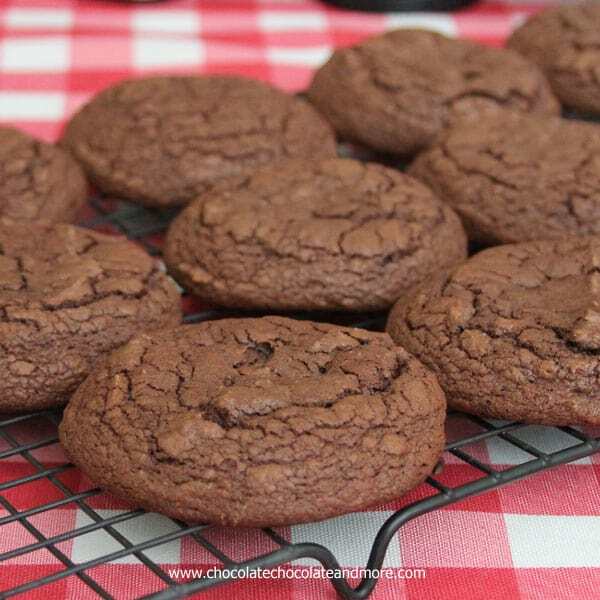 We try to not have any huge gaps between the cookies so some breakage has to occur. Make sure to save a few cookies for your top. Crushed Oreos never looked so good! My kids started back to school today. I think this icebox cake will make a nice welcome home after school snack. 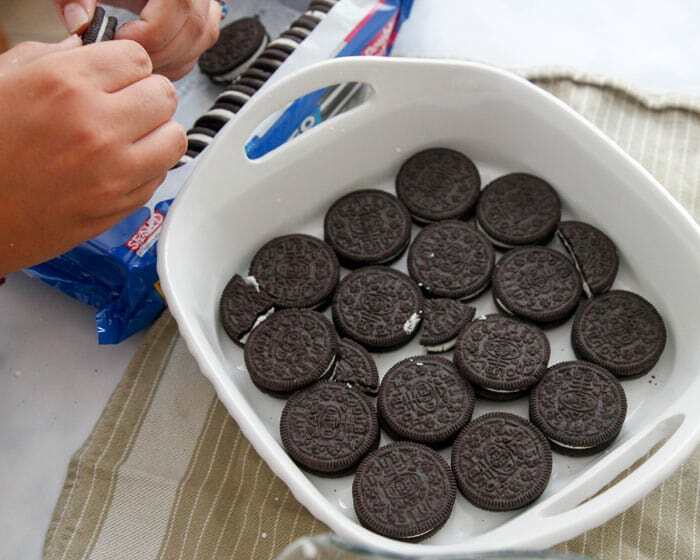 Line the bottom of a square dish (mine is 8x8) with Oreos, covering the entire bottom. Spread Half of the whipped cream, evenly over the Oreo layer. Repeat, layering Oreos and remaining whipped cream. 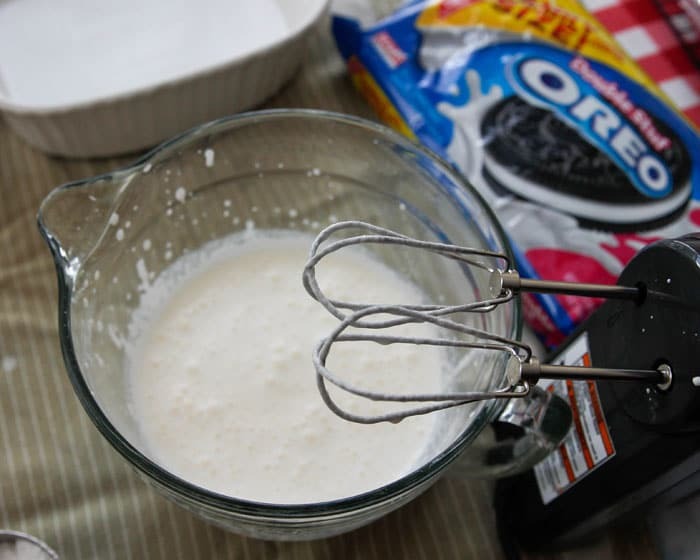 Chop 3-4 Oreos and sprinkle on top for garnish. Loosely cover with foil and refrigerate for 4-6 hours before serving. 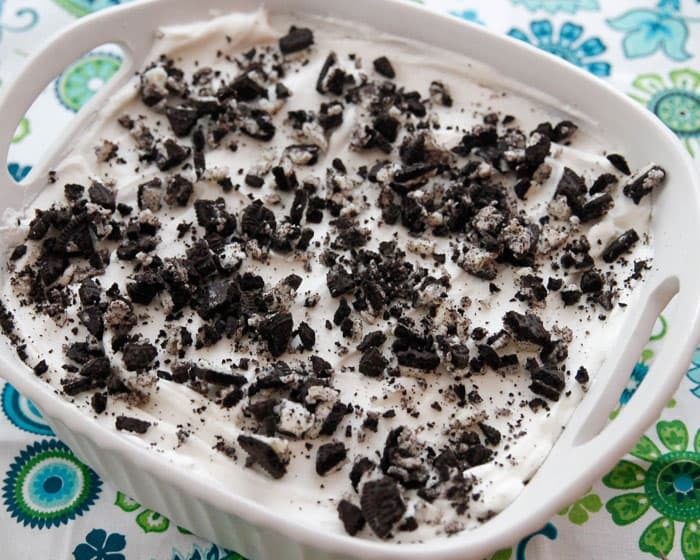 If I had Oreo’s in the house, I would be making this now so I could have it for breakfast! This could not be any easier! I love it! I can’t believe you guys are back in school already! Oh my! Get in my belly! 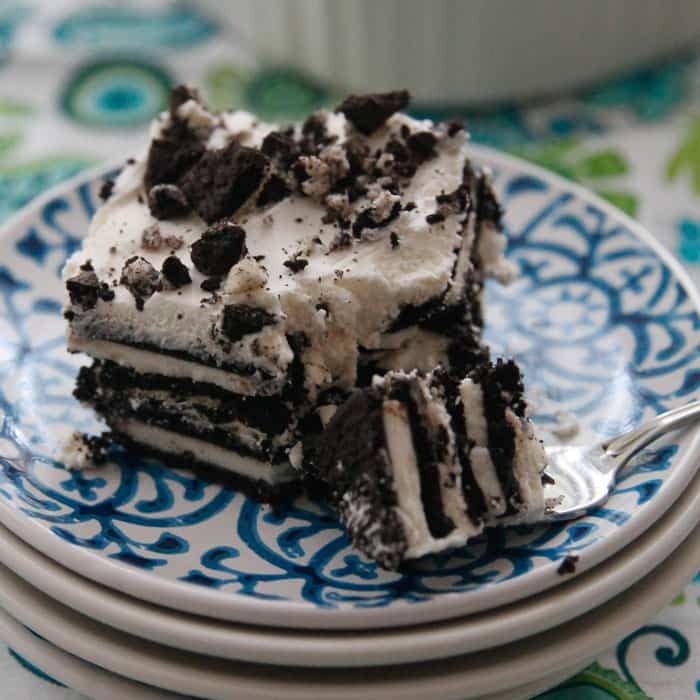 I love the ease of icebox cakes – and Oreos! Yum! OMG , it looks so tasty !!! Holy Moses, I wish I was one of your kids!! This is droolworthy!! 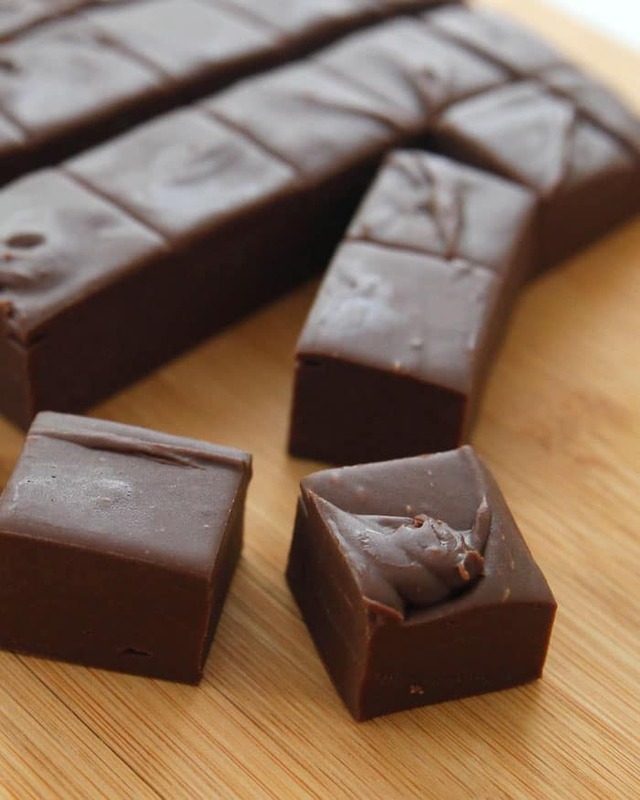 This looks like an amazing treat to enjoy before the dog days of summer leave us behind! Awesome how easy this is, and the fact you can use whatever cookies you want to. Endless variations are possible! Thanks Carol, I hope you love it! I love oreos, and these look delicious! 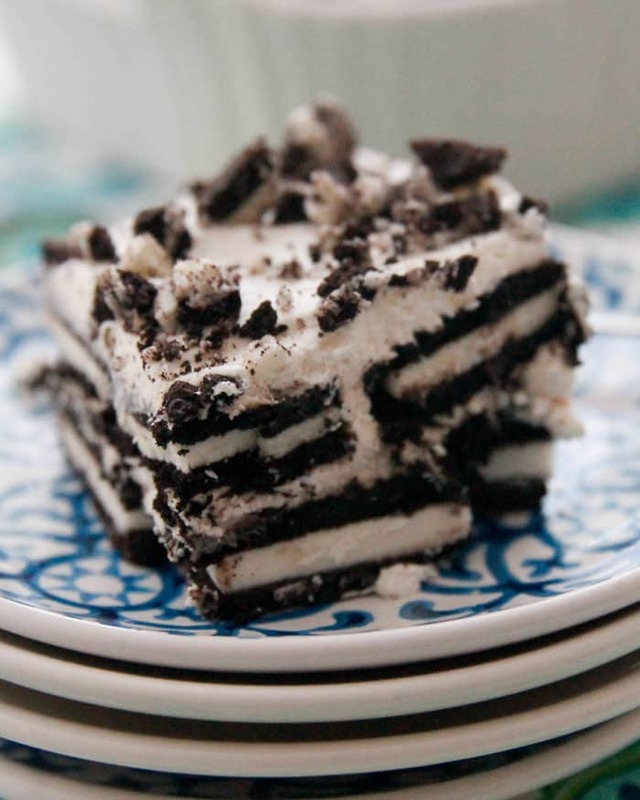 Thanks Ashley, and if you love Oreos, you’ll totally love this cake!